Professor David Jentsch is a highly respected UCLA neuroscientist who specialises in the study of addiction, one of the most widespread and serious medical problems in our society today. Sadly, by devoting his career to finding out how to better treat a condition that ruins – and all too often ends – many millions of lives in the USA and around the world every year, David has found himself, his colleagues, and his friends and neighbors under attack from animal rights extremists whose tactics have ranged from harassment, stalking and intimidation, to arson and violence. Did this extremist campaign persuade David to abandon his research? In 2009 David responded to the extremist campaign against him and his colleagues by helping to found Pro-Test for Science to campaign for science and against animal rights extremism at UCLA, and has been a key contributor to Speaking of Research, writing articles on the role of animal studies in the development of new therapies for addiction, what his studies on rodents and vervet monkeys involve, and how addiction research can help us to understand obesity. This week the NIH’s National institute on Drug Abuse (NIDA) has published an excellent article on David’s ongoing research entitled “Methamphetamine Alters Brain Structures, Impairs Mental Flexibility”, which highlights the importance of non-human primate research in identifying how addiction alters the brain and why some individuals are more prone to develop damaging methamphetamine dependency than others. You can read the article in full here. This knowledge of how drug use disrupts brain function will be crucial to development effective clinical interventions for methamphetamine addiction, and the huge scale and devastating impact of methamphetamine use makes it clear that such interventions are desperately needed, as David highlights in the article’s conclusion. At a time when animal rights activists in many countries are pushing to ban addiction research involving animals, the NIDA article on the work of David and his colleagues shows why this work is so valuable, and just what would be lost if animal rights extremists are allowed to have their way. Posted on March 21, 2014 March 21, 2014 by EditorPosted in Campus Activism, News, Science NewsTagged addiction, animal research, david jentsch, methamphetamine, monkey, primate, ucla. Next Next post: How to help girls with Rett syndrome, and strike a blow against extremism! I never claimed that the dose of methamphetamine given to patients would mimic the pharmacokinetics of that used recreationally. My point is that even a low dose could cause changes observed in cognition? Do you disagree? You don’t know until you have done the study. Obesity as I said could complicate the study, but surely its only relevant if a negative result is obtained? I suppose it is possible that some interaction between the obesity and drug could cause changes in cognition, but then in your experiment it could be simply due to a species difference. Its not just pharmacokinetics that will differ between species, but its targets (of which their are many) amino acid sequence, subtype distribution in the brain, what other signalling cascades it affects, as well as the brains architecture being all very different between species. Obesity could affect the experiment. Species could affect the experiment. Until we have made a comparison to humans though we will never know. Since we cannot do the experiment on healthy humans ethically, it stands to reason that the point is moot. Are you saying no one has ever taken oral methamphetamine illicitly? You claim I am making lots of unscientific claims, giving no actual examples, and then you say this? Smoking, injecting and snorting will make the majority of routes of intake but oral recreational use has been documented, and indeed at 9% of users swallowing methamphetamine, this is actually more than smoking (which was was one of the main routes of administration you previously quoted). http://www.ncbi.nlm.nih.gov/pubmed/16723192 Sure injecting will give a bigger hit, and will therefore be more addictive. But the question is can it affect cognition in the same way? We dont know. So why not find out in the obese patients. You say that you would not have been able to get a grant for the obesity study anyway. So despite the fact that this could have provided a way to save monkeys lives, because the desire to save some money this would be rejected? What an indictment of the system if it values the lives of monkeys so little. You say I insult the committee members, yet you will not answer the question. Do they ask specifically why this study could not be performed in obese patients? Let’s go back to the basic point: that studying the effects of a medicinal form of methamphetamine on brain structure in obese patients could have resulted in the same information that we gathered in monkeys: studies that were aimed at clarifying the neural basis of structural brain changes that contribute to uncontrolled drug use. The scenario Keele raises is not in any way an adequate test of the key hypothesis. It is not a study that will contribute to our knowledge of addictions in a manner that even comes close to what our non-human primate study does. Before I address why in more detail, let’s visit the scientific impact of our study. It is revealed in two ways. First, this study was supported by a grant from the National Institute on Drug Abuse after peer review by a group of elite scientists with wide ranging expertise in the study of human patients and/or animal models. It achieved a much higher priority score than many other applications, due to its perceived scientific impact. This group directly compared between studies in human patients and rodent models. After these comparisons, it was judged to be deserving of support. Second, the provocation for the SR post was that the National Institute on Drug Abuse itself featured our study in its NIDA Notes news blast. Only a select few studies are selected for dissemination in this form. Understanding the brain mechanisms that are present in the brain of persons suffering from clinically-impairing drug use is crucial if we are to identify ways to prevent or reverse neuroadaptations and effect better behavioral outcomes. As of 2014, there is NOT ONE single FDA approved medication for the treatment of methamphetamine dependence, so work here is of high clinical concern. We conducted a study in which non-human primates were exposed to methamphetamine over a 5 week period in a manner that closely approximates the initial development of methamphetamine use in humans – a transition from irregular, infrequent use of small amounts to regular, repetitive use of larger amounts. Keefe is correct when he says that pharmacokinetics (the relationship between a dose consumed and its availability over time to organs like the brain) can vary widely. One of the reasons that rodent models are deficient here is because the half life of methamphetamine is approximately 20 times faster in rodents than in humans. Due to past studies in monkeys, we knew precisely how to dose methamphetamine to monkeys in a way that mimicked human pharmacokinetics. Oral administration of methamphetamine to humans in tablet form in a dose not exceeding 5 mg (this is the standard of care in human obese patients) would not in any way approximate the patterns of pharmacokinetic exposure that occur in drug abuse. Our study, on the other hand, accomplishes this nearly perfectly. Another flaw in Keefe’s proposal lies in the fact that methamphetamine is only allowed for use in obese patients when they fail all other reasonable interventions and only for a period of time of a “few weeks”. This means that it is only being delivered to a very unique subset of individuals (clinically obese and otherwise treatment refractory). This means that their own biological response to the medication is unlikely to representative of methamphetamine dependent persons (who are usually lean and not treatment refractory). But again, since it is given in extremely low amounts (5 mg in an obese person amounts to less than 0.05 mg/kg) and by a route of administration that has no relationship at all to illicit methamphetamine use in human substance dependent persons. This fact alone makes the study proposed by Keefe extremely low priority. If he were to submit this for funding as a grant to the National Institute on Drug Abuse, I suspect it would be scored in the lowest priority levels. Once my grant was selected for funding by NIDA, it was only then reviewed by the Institutional Animal Care and Use Committee at UCLA. Despite the scientific impact of the study, the IACUC raised many concerns about the nature of the study, and it was only approved after considerable back and forth, discussion and refinements. Keefe insults IACUC members everywhere when he makes wrong-headed assumptions about what is considered by them on a case-by-case basis. IACUCs explicitly concern themselves with the necessity of the animal experiments. In the case of my study, all the reasons above were understood by them, and they judged the study to be necessary. Keefe makes numerous scientific errors in his statements, and he misjudges (probably intentionally) the skills, expertise and motivations of IACUC members. In fact, both scientific excellence and ethical justification were amply considered before my study ever got underway, and the quality of that review is unimpeachable. I apologize for mistakenly referring to the previous author James Keele as “Keefe” in parts of my reply. I have spoken to many researchers through the years, and it is always the same. The types of question ethical review committees ask are not sufficient. Now perhaps this is not true in any particular instance, but I have never come across such an instance. How about we let David respond to settle the matter, did the committee ask why you couldn’t do the experiment in obese humans? “You’ll notice David answered your previous question. And I am sure you’ll notice the use of the word necessary. If one does the the experiment in obese humans, pharmacokinetics may affect the outcome. But then species differences in P 450 enzymes will also affect pharmacokinetics, no matter what attempts are make to give a dose similar to that used recreationally. Aditionally, the researchers injected intramuscularly into the monkeys, which is different from the intravenous route of administration used by people injecting. Dose is important, a point I already made. And dose can affect the effects of a drug. But we have no idea at what dose methamphetamine causes changes in cognition, but we do know that even at the relatively low doses given to obese patients, one can still become addicted. If one did the experiment on obese patients and you saw that yes, it does cause the same changes on cognition seen in recreational users, then would you not agree that the question has been answered? Perhaps a negative result would then mean that dose was important. But if you did the human experiement first then you could at least potentially answer the question and so not need to use monkeys at all. I dont know where you got the idea that I thought that obese patients should be given a high dose. I never said that. Re the 3Rs and diet, the question then becomes why do you think it should apply to research and not food? Killing animals for food and killing animals for research are still just different ways of killing animals. If you want to argue they should be considered completely separtely then you are going to have to make the case for that. If anything though I would have thought most researchers would argue that killing animals for research is more ethically justifiable than for food, as the former one could be saving lives. So why should animal research then be subject to all this additional ethical oversight that you dont think should be there for killing for food. The 3Rs are used not just a set of rules for research, but part of an ethical justification as part of a utilitarian set of ethics. If this is not the case then why bother with the 3Rs at all. Why would the enjoyment of doing research not justify the use of animals, when it is merely enjoyment people use to justifying killing animals for food. It seems to me that the 3Rs say that animals lives have moral value, enough value that using them frivolously is wrong and should only be used when there is a reasonable chance that doing so is required to save human lives or reduce suffering. Why then should this principle not hold true for other things like eating meat? Research and and farming are both just different actions humans do, and so ethical considerations should judge these actions by their effects, not just by the fact we call them different names. The types of question ethical review committees ask are not sufficient. How they would be ever be sufficient for someone that believes all living beings have the same basic rights as a normal human being. So despite the fact that I said that research has to be approved by an ethical review committee, you have decided that in fact that I think scientists can just do what research they want without oversight? In what way did I imply this when I outright said the exact opposite? My argument is that the oversight they have is insufficient. This is based on two things. Firstly they do not ask the type of probing questions I asked (questions which you too have just avoided to answer). And secondly because the ethical review committees are biased, due to the fact that they do not uphold the 3Rs in their daily lives, for example by eating meat (again a question you avoided). Now you have stated that in fact the oversight is sufficient. But you have not actually challenged these arguments. Am I therefore to believe that you in fact agree with these arguments, but believe that being consistency with the 3Rs doesn’t really matter that much anyway? Or that monkey’s lives have so little value to you that oversight is unnecessary? If you make a statement, you should at least try to justify it. How on earth do you know what kind of questions are asked by the oversight committees at each institution? The 3Rs has NOTHING to do with diet. It is the Refinement, Replacement and Reduction of ANIMALS IN RESEARCH. Not in food. Not in hunting. Not in pet ownership. They care about the welfare of animals and needs of requirements of effective science. You’ll notice David answered your previous question. I suppose you could demand patients overdosed on desoxyn – but I certainly wouldn’t call it ethical – would you? Drugs at low doses can have very different effects on the brain than at high doses. What would you know? Have you ever participated in such committees? In the US you can volunteer… but, again, I am not sure you will be found suitable as you already stated you are against all research under all circumstances. The sad fact is that with research like this, many will claim it is justified because the experiments had to be ethically reviewed before a licence was given to perform these experiments. Yet would the review committee ever think about asking whether this study should be done in humans first, as I suggested? No. Why? Because it is a tick box exercise. Those who make the decisions are not those with the animals welfare in their mind, in fact most will be avid meat eaters. Where was the ethical approval committee for deciding how animals are treated on farms, killed not for medical benefit but just their own culinary satisfaction? How can any we trust scientists and ethical review committees to really make ethical judgements when they don’t practice the principles of the 3 Rs (reduce, refine, replace) in their own lives? The certainly could do, veganism has been shown to be very healthy. So I would like to ask you a question, are you vegan? Good grief… At least 97% of the world population are meat eaters. Do you think that vegans are the only ones capable of making sound moral decisions? To the contrary — I don’t think I want moral judgements in society decided by those that are ready to flip a coin between a mouse and a human. I think you are misinterpreting what I said. It is logically possible to believe that we should follow vegan diet, and still accept animal research (although personally I am vegan and against animal research). It seems to me that the 3Rs mean people ought to follow a vegan diet. Do you disagree? Why? Obviously one can be not be vegan and still make ethical decisions. But one would not ask a jury of all men to sit on a jury for a domestic violence case. The point is that we all have biases, bias which will affect how we answer the ethical specific question being asked. Do you agree that those making ethical decisions should themselves uphold the priciples on which they are to base those judgements in their lives? Do you agree that if we did the experiment in humans as I suggested above, that this would answer the question of whether methamphetamines use is the cause or result of the cognitive and brain structure changes observed in those who use the drug recreationally? 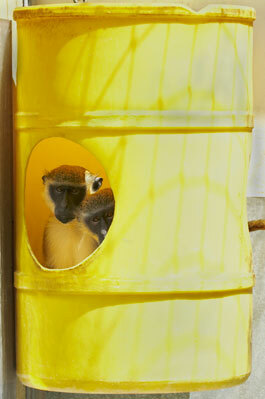 Or at the least would provide an answer to the same extent as the experiments performed in monkeys? You seem to have the notion that scientists walk into their labs and run whatever experiments they fancy that day. You are wrong. Every study is reviewed by a panel of experts at NIH and then by your own institution in a panel that includes veterinarians and members of the public. In both cases you have to specifically address the possibility of alternatives to the work and why the experiments are necessary. You seem to think this is all a rubber-stamping procedure. You would be wrong again. The pharmacokinetics between species can already be very different, even point mutations in cytochrome p450s can radically change their function. Are you saying that methamphetamine given medically is not addictive? Or would not cause dependence? Surely if we do the experiment on obese humans first and find that the changes in cognition and brain structure/activity matches that in people who use the drug recreationally, then we can reasonably say that taking the drug induces those changes. Now maybe if that experiment does not work we could argue that differences in the way it was consumed caused a lack of effect in obese patients, and then you might have a point. But then why not do the experiment in humans first and so potentially avoid using monkeys altogether? Since methamphetamine can be prescribed in the US for obesity as Desoxyn, why not image the brains of obese patients using MRI before and after they start treatment? Surely that would answer the question as to whether methamphetamine cause changes in brain structure/ mental flexibility to a greater extent than using animals? Sure, obesity may affect the outcome of the experiment, but surely not as much as species differences? Your proposed experiment would not, in fact, address the key question. Our research is aimed at understanding which neurobiological sequelae of drug abuse contribute directly to the loss of control over drug use. Medically sensible, controlled use of methamphetamine would not necessarily inform us about abuse and dependence upon the drug. Desoxyn is taken in tablet or capsule form. Methamphetamine is abused by smoking, nasal inhalation or injection – thus, the pharmacokinetics of the two are totally different. Our studies in monkeys mimic the PK of human abuse much more closely. Doses used medically are much lower than ones commonly abused; again, our studies in monkeys are more accurate. And finally, as tolerance emerges, human drug abusers increase the frequency and dosage consumed – again, our monkey studies mimic this but medical use does not. In Italy, the home of seminal research into the brain mechanisms that give rise to addictive behaviors – including alcoholism – animal research addressing substance use disorders is at great risk. There is much to be lost when this devastating disorder of the brain is under-addressed or ignored because of the political agenda of so-called activists whose goal is actually to impede progress and erode human welfare.